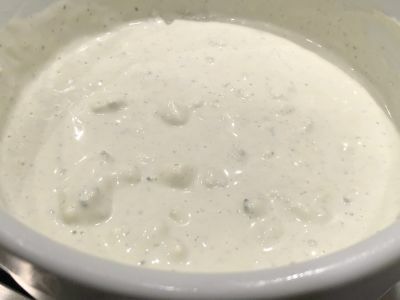 Blue cheese dressing is one of those items that is so much better when you make it yourself rather than buying it in a bottle off the shelf at a grocery store. And it is so simple. If you can measure and mix you will be an expert! So give it a try and tell us how you change it to make it your own. Enjoy! 1. Add the mayonnaise, buttermilk, sour cream, salt and garlic powder to a bowl and thoroughly mix together, preferably with a whisk. 2. Cut the blue cheese from the wedge and crumble it up to be added to the dressing. 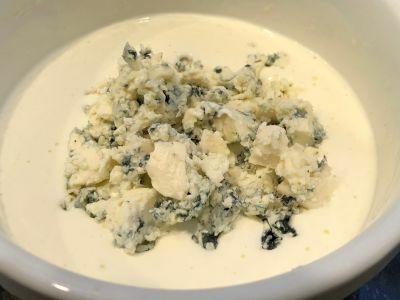 This is much better if you buy a wedge of blue cheese and crumble it up yourself rather than buying the pre-crumbled pieces in a plastic container. 3. 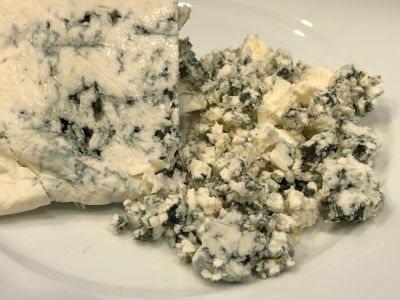 Add the blue cheese and mix it in well until it is evenly incorporated. 4. Refrigerate it for at least 1/2 hour before using. Use it on a nice fresh wedge salad or any salad on which you like blue cheese dressing. Enjoy!